Hella marine LED based lighting products are sophisticated opto-electronic devices designed for durable, highly energy efficient, maintenance free operation. Listed below are some key considerations when selecting LED based lamps for marine exterior and interior applications. The goal for general LED interior lighting is the even illumination of a specified area or to highlight and illuminate features of a vessel. All Hella marine LED lamps use integrated highly efficient optics, lens designs or Free-Form reflector technology to accurately capture and distribute the light available from the LED. 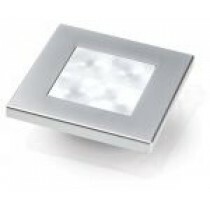 - Round and Square LED courtesy lamps providing attractive uniform light patterns via an efficient optic and lens with embedded glass spheres for minimum light losses. - EuroLED® lamps employ an accurately machined optic and lens combination to provide an even spread of bright white light with minimum light losses. With the significant advances of LED brightness, eye safety considerations are increasingly important. It is essential for high power LEDs to be coupled with optic designs that protect the eye’s retina from possible damage. It is desirable for the entire lens area of a lamp to be evenly illuminated via an efficient optic rather than using a bundle of LEDs without any optic. Competent and well engineered thermal management of a LED device is essential for the long-term durability of Hella marine LED lamps. Well designed LED interior lamps save power and reduce the heat loading in a cabin compared to incandescent lighting. A common misunderstanding is that LED’s do not generate heat. In contrast to incandescent lamps however LED’s like to ‘run cold’. High output LED’s do generate heat, which needs to be coupled to surfaces designed to efficiently transport the heat away from the LED itself. LEDs that overheat, meaning the junction temperature of the LED rises above a set threshold, will permanently degrade and significantly reduce their luminous efficacy. A noticeably ‘hot to touch’ exterior surface of a high output LED interior lamp provides some indication that the light output of the device will deteriorate within a few hundred hours. 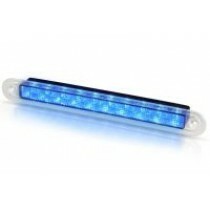 Well engineered LED devices will operate ‘cool’ or ‘slightly warm’ to the touch after many hours of operation. The technical expertise of Hella marine in thermal management, coupled with superior optics and electronic design, ensures the long term durability of all our LED lighting products with minimal degradation over many years of service. Selecting the LED Interior Light that is right for You - When selecting LED interior lighting, selecting the right colour temperature and a high Colour Rendering Index (CRI) is important. Colour Temperature - The description used to describe the effect of heating an object until it glows incandescently, the emitted radiation, and apparent color, changes proportional to the temperature; easily envisioned when considering hot metal in a forge that glows red, then orange, and then white as the temperature increases. Cool White - A description of light with a correlated colour temperature between 4500 Kelvin (K) and 10000 K, usually perceived a slightly blue. Warm White, closer to incandescent lamps, starts at 3500 K and lower. CRI or Colour Rendering Index - The calculated rendered colour of an object. The higher the CRI (based upon a 0-100 scale), the more natural the colours appear. Natural outdoor light has a CRI of 100. Common lighting sources have a large range of CRI. Both Colour temperature and a high CRI are an important selection criteria when considering the installation of LED interior lamps for general lighting. During the LED production process the exact colour temperature and the brightness of the finished product cannot be pre-determined with certainty. For this reason LEDs are selected after the manufacturing process into various brightness and colour temperature classes. To achieve uniformity of our products, Hella marine uses only selected colour and brightness classes. In contrast the colour temperature and the CRI of an incandescent bulb or Quartz Halogen bulb is very uniform. 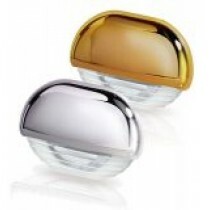 Hella marine describes warm white as a colour temperature closer to the output of a Halogen Bulb lamp. White describes a colour temperature in the bright white range, up to 5200 K.
Light in the 5200 K plus range may not enhance a vessel's interior, compared to the warm white (yellow) tones of an incandescent lamp as colour temperatures above 5200 K can look ’cold’ and ‘clinical’. Bright white colour temperatures reduce the visible colour of food, upholstery, carpets, timber, and also skin tones making skin appear pale and grey. Colour temperatures towards the ‘warm white’ range of 2800 K add life and vibrancy to people and objects. LED spot lamps use an innovative reflector to create a powerful interior spot light pattern without causing glare. Oblong LED step lamps with 30 degree down angle light beam to illuminate the tread of steps and stairs onboard without dazzle from the lamps themselves. LED based marine general interior lighting is developing fast to become a viable solution for durable and highly energy efficient lighting. To take advantage of the ever increasing efficacy of the most advanced LEDs becoming available, highly efficient optic design is essential.